The Lord has created His new life in us. Through the Resurrection, we are able to not only engage in a walk of new life but new life resides within us. It is not just something we do but essentially who we are. Learning to live and operate within this domain is the challenge. Living the Resurrected life means that we learn to obey the Holy Spirit instead of obeying our fleshly desires. It means that we submit to the power that’s greater in us than the power that’s in the world. 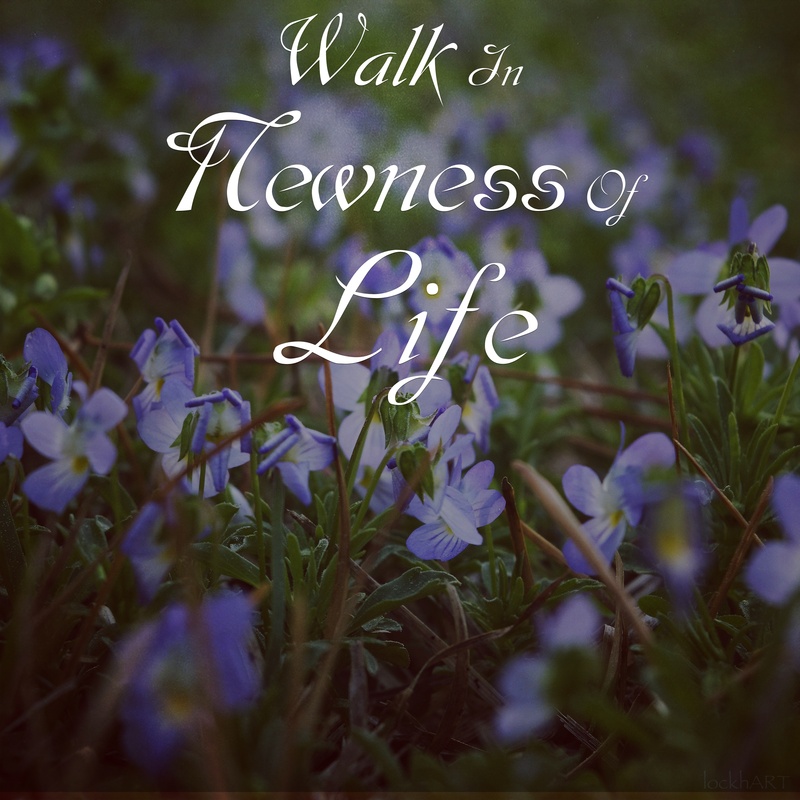 Walking in the “newness” of life is equivalent to learning to walk all over again..sometimes stumbling and falling but eventually becoming stable and able to put one foot, firmly in front of the other making spiritual as well as physical progress. Leaders have to learn to demonstrate their reliance upon God as their Rock and firm footing and not their own decisions or knowledge. God calls leaders to trust in Him and obey regardless of how illogical it may seem. Throughout the Old Testament, the Israelites were forced to trust in God and walk a different way than the people around them. They had different practices, traditions, even ways of war that shocked and confused others. Christian leaders must learn to walk with God in a newness of life that doesn’t always make sense but it is the only REAL way to live. Newness of life is directly compared to an “oldness” of life, a life that is stale and worn, unfulfilling and ultimately dead with emptiness. Newness of life that is found in Christ alone occurs when a person yields themselves to Christ, accepting His death on the cross, dying along with Him in substitution, and experiencing Resurrection in the same manner but also in reality. Newness of life is not some ethereal experience, transcendent to earth. On the contrary, newness of life, the Resurrected life, happens on earth and shapes everything within and without the new believer. This Resurrected life only happens when there is a death, though. Leaders must die to themselves on a daily basis in order to live out the Resurrected life. Christian leaders learn to operate from a Resurrected point-of-view. They no longer look at people as a means to move ahead. Instead they now serve. They no longer treat people poorly but rather lovingly and out of humility. For the Christian leader, leadership becomes followership in Christ. As Joseph Stowell once said: “Leadership is a temporary assignment: followership is a lifelong calling”. This new calling emanates from a newness of life that cannot be contained in an office or a role but permeates every aspect of the new Christian and leader for Christ. Final thought: don’t rely on your own strength to walk the new life. New life requires a new power, which is why Christ gave us the Holy Spirit. Let him empower you to live the new life. Previous Previous post: Devotionals For Leaders: The Glorious Ah-Ha!